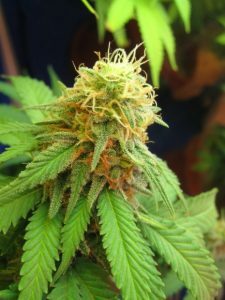 Marijuana businesses, cultivation farms, dispensaries, landlords, doctors and collectives would do well to consult with an experienced marijuana lawyer when formulating a business plan. Those who are facing criminal penalties should do the same, as well as those who are serving time and weighing the possibility of an appeal or request to have their sentences commuted. However, there are some questions that don’t necessarily require a one-on-one with an L.A. marijuana lawyer. We tackle some of those issues here. Where can people buy marijuana now in California? Your legal options at this juncture are still fairly limited. You can guy medicinal marijuana with the recommendation of a doctor. You can also grow up to six plants on your property, and that harvest can be utilized for personal use. However, buying recreational marijuana in California is likely not to happen on any broad scale until 2018. It will take at least that long for cities and states to hammer out licensing and regulation for cultivation and sales. Where is it legal to smoke marijuana in California now? You certainly can’t do it in public. In your car is probably not a wise place, as you could potentially get slapped with a DUI, even if the car isn’t moving. Beyond that, the general rule is that if you can’t smoke cigarettes there, you probably are not going to be able to smoke marijuana. Will medical marijuana shops still stick around? At least for the moment, they aren’t going anywhere. We’ll see them continuing on for at least the next year. It’s tougher to say what will happen beyond that. Those with medical conditions may have specific needs and considerations that are still better served by a medical marijuana dispensary, as opposed to a shop primarily for those buying the drug for recreation. Plus, there is the consideration that the next presidential administration may crack down on recreational marijuana. That doesn’t mean medical marijuana is safe, but politicians would be risking public outrage to do so. Are there going to be different penalties for driving stoned? Driving under the influence of any intoxicant is illegal under California law, and that won’t change. At this point, there has been no bill introduced that would result in any change in penalties for the offense. What makes these cases trickier for prosecutors is proving the person who tested positive for marijuana was indeed under the influence, as marijuana isn’t processed by the body as quickly as alcohol. Other states have introduced legislation that quantifies how much marijuana can be in a person’s system before they are deemed legally impaired, but scientists have largely agreed this approach is inaccurate and results in unjust outcomes. It remains to be seen whether California lawmakers will initiate this kind of statute. Can those who are serving sentences for marijuana possession crimes have their sentences commuted now? It’s certainly worth exploring. It may not be an option in every single case, but a criminal record can have profoundly negative consequences for individuals, so there is incentive to look into whether the sentence can be commuted or the permanent record expunged or sealed.